There was Freemasonry in India before the seed of Scottish Freemasonry was sown in 1838. Recorded history shows that within 12 years of the constitution of the United Grand Lodge of England in 1717, a Petition was received by it from a few Brethren in India to constitute a Provincial Grand Lodge in Calcutta. The Petition being granted, the Grand Lodge of England issued a Patent as early as 1729 to George Pomfret appointing him as Provincial Grand Master to supervise Masonic activity in India and the Far East and authorising him to "open a new Lodge in Bengal". Full details regarding how the First Lodge was constituted in India, are preserved in the Minutes of the United Grand Lodge of England in London. First a petition was presented on December 28, 1728 and at the end of the Minutes of that Meeting, the text records the "Deputation" from the Grand Master "to Empower and Authorize our well beloved Brother Pomfret�.....that he do, in our place and stead, constitute a regular Lodge, in due form at Fort William in Bengal in the East Indies...." This was signed and sealed "the 6th day of February 1728/9 and in the year of Masonry 5732 (which shows that Grand Lodge used Usher's Chronology in dating the Masonic era - as the Grand Lodge of Scotland still does). Consequently it seems that a Lodge No. 72 was established in Bengal in 1730 to meet at Fort William in Calcutta. The coat of Arms was adopted from the East India Company a golden lion, rampant guardant, supporting between the forepaws a regal crown. In 1729, Bro. Captain Ralph Farwinter was appointed "Provisional Grand Master for East India in Bengal", and Bro. James Dawson as "Provincial Grand Master" for East Indies. Another Lodge was constituted in East Calcutta on 16th April 1740, and a Lodge No. 222 E.C. in Madras in 1752. One Lodge (No. 234 E.C. whose name is not known) was established in Bombay in 1758 and one 'Lodge of Philanthropists' No. 569 E.C. in Surat in 1798. Lodge Orion in the West No. 598 E.C. (later No. 415 E.C.) was established in Poona. 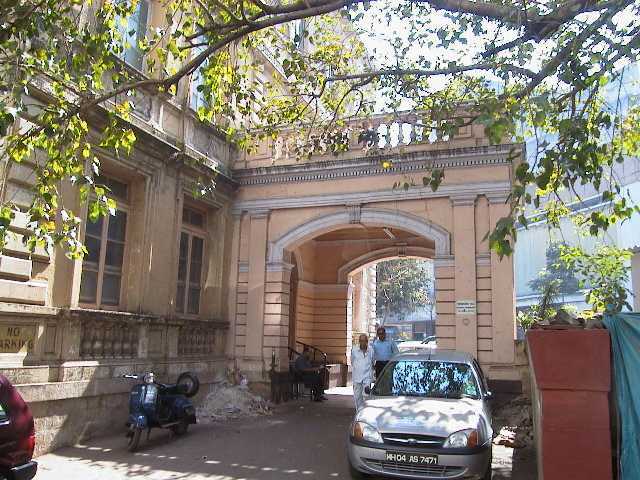 The Provincial Grand Lodge of Madras was formed in 1752 and The Provincial Grand Lodge of Bombay was created in 1758. Although it appeared in the Roll of the United Grand Lodge of England, there is no record of how it came into being. Lodge Perseverance No. 546 E.C., which functions today in Bombay as No. 338 S.C., was founded in 1828 at Bombay, with Bro. J. Lawless as its first Rt. Wor. Master. All these Lodges were under the English Constitution, and the membership was chiefly confined to the European Community. The first Indian to see Masonic light was Bro. Umdatul-Umera, the eldest son of the Nawab of Arcot, who was initiated at Trichinopoly in 1776. In Western India, no Indian was admitted to Freemasonry till 1843, as described below. After much opposition from the Provincial Grand Master, Bro. Hugh Sanderman, and nine years after he was proposed for initiation, Mr. P.C. Dutt of Calcutta become a member of the craft. Mr.Dutt became Bro. Dutt in Lodge Anchor and Hope, No. 234, in 1872. Mr. Manockjee Cursetjee, a Parsee gentleman and a merchant from Bombay, was refused admission by Lodge Perseverance and not taking defeat easily, he went to Europe, and was initiated in France. After his return, his enthusiasm for the Order, coupled with the support he received from Bro. Dr. James Burnes, the Provincial Grand Master of Western India (S.C.), led to the establishment of Lodge Rising Star of Western India No. 342 S.C. on 15th December 1843 for the introduction of "native gentlemen" in the Craft. This meeting was held in the Town Hall, under the Warrant granted by Bro. Dr. James Burnes, the Provincial Grand Master. Bro. Manockjee Cursetjee became the first Secretary of the Lodge and subsequently became its Rt. Wor. Master on two occasions. He remained an ardent Scottish Mason during his life time. "Lodge Rising Star is the first Lodge founded for admitting the natives of India to the privileges of freemasonry. At the time of its institution in 1843, there were supposed to be many difficulties in the way, difficulties of race, difficulties of social custom, of political equality, differences of enlightenment and perhaps many others. But there were stout hearts who, headed by James Burnes, maintained and desired to prove that masonry belonged to no creed or colour, to no climate or race. It was the Universal Patrimony of mankind. It was 'the one touch of nature that makes the whole world kin', and the Lodge Rising Star thus came into existence. The foundation of that Lodge has broken the spell of ages." At the Annual Communication of the Grand Lodge of Scotland held at Edinburgh on 30th November 1836, the Most Worshipful Grand Master Mason, Bro. Lord Ramsay, during his address informed the members that Bro. Dr. James Burnes, K.H., LL.D., of the Honourable East India Company's service was about to return to India, and he thought that the superior information and knowledge of Masonry possessed by Bro. Dr. Burnes would be of the utmost importance in promoting the usefulness of the Craft in that quarter of the globe, and as such be begged to propose Bro. Dr. Burnes to be appointed Provincial Grand Master over the Provinces of Western India and Dependencies with authority to establish Lodges in those Provinces. This was unanimously approved and Bro. Dr. Burnes was accordingly issued a Commission dated 30th November 1836. Bro. Dr. Burnes arrived in Bombay towards the end of December 1837 and on 1st January 1838 opened and established the Provincial Grand Lodge of Western India and its Dependencies, under Scotland and appointed his Office-Bearers. It may be of interest to know that Bro. Burnes' great grandfather was an uncle of Scotland's famous poet Robert Burns, whose name was also spelt as "Burnes" at that time. A second Scottish Province of Eastern India was subsequently erected, with the Marquis of Tweeddale, the Governor of Madras as the Provincial Grand Master. On the retirement of the Marquis of Tweeddale, this Provincial Grand Lodge was absorbed under the jurisdiction of Bro. Dr. Burnes, who in 1846 became the Provincial Grand Master having jurisdiction all over India (including Aden) but with the premise, that this appointment was not to act in restraint of any future sub-division of the Presidencies. In 1840, Bro. James Burnes visited Calcutta, and such was his popularity that it resulted in a revival of Masonry there, with many Freemasons leaving their English Lodges and becoming members of Scottish ones. For nearly six years, no Scottish Lodges came into existence except for two Dispensations issued by Bro. Dr. Burnes for the formation of Lodge Hope No. 337 at Kurrachee (Karachi) in 1842 and of Lodge Rising Star of Western India No. 342 in 1843 as aforesaid at Bombay. As stated earlier, Lodge Perseverance No. 338 S.C. had previously existed under the English Constitution since 1828, and later switched over to the Scottish Constitution. Bro. Dr. James Burnes was its member when it was under the English Constitution. On 3rd January 1843, the North East Corner Stone of the J. J. Hospital was laid at Bombay with great pomp and Masonic Rites by the Rt. Wor. Provincial Grand Master of Western India, Bro. Dr. James Burnes in the presence of Sir George Arthur, Governor of Bombay. The speeches made there brought home to the public that Freemasonry was associated with charity and philanthropy. By June 1844 Scottish Masonry extended to the Deccan by the formation of Lodge St. Andrews'-in-the-East No. 343 at Poona. On 8th January 1849, after an interval of two years, the Provincial Grand Lodge was again convened, and Bro. Phillip William LeGeyt was nominated as the Provincial Grand Master, although the minutes make no mention of the contemplated retirement of Bro. Dr. Burnes from that Office. Due to his ill health, Bro. Dr. Burnes left India in December 1849 and died in Manchester in 1862 without "an enemy, and with scarcely an acquaintance who was not, also, an admirer and a friend." On 8th January 1850 at the meeting, a letter was read from Lodge "Victoria" at Belgaum, praying for the confirmation of certain irregularities. This is the first time that Lodge "Victoria" is mentioned in the records of the Provincial Grand Lodge. It would appear that the Lodge was opened some time previously, under a dispensation granted by Bro. Dr Burnes, although the regular warrant No. 363 was not issued by the Grand Lodge of Scotland until the 26th February 1852. At the meeting of the Provincial Grand Lodge held on 7th October 1850, Bro. P. W. LeGeyt was installed as the Provincial Grand Master with the usual formalities. On 30th December 1852, Lt. General Lord Frederick Fitz Clarence, G.C.B. (Natural son of King William IV), who had filled the throne of the Grand Lodge of Scotland and who had been appointed Commander-in-Chief of the Bombay Army, was presented with an Address of Welcome by the Scottish Masons of Bombay. On 8th April 1853, the Quarterly Communication was held, at which the Provincial Grand Secretary reported that the premises at No. 1, Grants Building, had been acquired on lease as a permanent meeting place of the Craft and in future be designated "The Freemasons' Hall". Occupation had commenced from 1st February 1853, and on 30th March 1853 a Masonic Convention had been signed by the representatives of the four bodies working in Bombay, regulating the terms on which it was to be used. The Lodge furniture, kit, and other paraphernalia remained the property of Lodge 'Perseverance', which was to receive a stipulated sum for the hire thereof. Lodge Rising Star had written a letter enquiring if they could initiate a French gentleman and it was decided by a majority that the interests of the Craft would be best served if "Lodge Perseverance" restricted itself to the reception of Europeans and Lodge "Rising Star" to that of native candidates. On 10th April 1855, Bro. 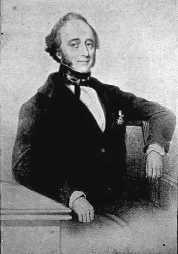 LeGeyt resigned his office of Provincial Grand Master as a consequence of proceeding to Calcutta to take up a post under the Supreme Government, and on 9th May 1855, Bro. H. D. Cartwright was duly installed as the Provincial Grand Master. On 2nd May 1860 Bro. Cartwright announced his resignation of office, due to private circumstances, rendering it impossible to devote the time and interest his office demanded, and also that he had recommended Bro. G. K. Ballingal as his successor which was approved, but before his Commission could be confirmed from Scotland, Bro. Ballingal found he could not well attend to the duties of the Provincial Grand Master, on account of the increasing arduous duties of a public nature which fully occupied his time. He, the officiating Provincial Grand Master, therefore, proposed to follow the exemplary precedent set by his predecessor in not holding on to the office, and after appointing Bro. Richard Bolton Barton to the vacant office, he resigned. Bro. Barton was thereafter obligated and invested as the Provincial Grand Master in 1863. On 5th March 1863, a funeral Grand Lodge was held for the purpose of recording the death of his Grace the Duke of Athol, the then Grand Master of Scotland, and all subordinate Lodges were ordered to be placed in mourning for three months. On 25th June 1864, at its meeting, a cordial vote of thanks was accorded to Lodge "Rising Star" which at its meeting in April last, had donated a complete set of Officers' clothing to the Provincial Grand Lodge. The clothing and Jewels were worn for the first time by the Officers of the Provincial Grand Lodge and Bro. C. N. Cama was elected as Provincial Grand Treasurer as a compliment to that Lodge. On 24th April 1866, Lodge Barton No. 475 was inaugurated at Lonavla by the venerable Bro. W. Wellis, Deputy Provincial Grand Master, who performed the consecration ceremony and installed Bro. J. Lumsden as its first Master. Bro. Lumsden was a Master Mason of Lodge Leinster No. 387. On 3rd March 1866, the Provincial Grand Master stated that the dispensation for Lodge Barton No. 475 was the third one that he had granted, but owing to the silence of the Grand Lodge of Scotland, the fees and petitions for Charters had been kept back, but he hoped to soon hear authoritatively on the subject, as he had written a letter of remonstrance to the Grand Master Mason of Scotland. On 30th March 1867, the Provincial Grand Master presented copies of letters written to Scotland but as no action had been taken by them, he thought it fit to resign from his office. Bro. Capt. Henry Morland said that the Provincial Grand Master was justified in his action, but his resignation would be a signal for the dissolution of the Provincial Grand Lodge, for he was fully satisfied that there was not one member who would retain office. He suggested to the Provincial Grand Master to postpone his resignation, and a letter with a pr�cis of all the correspondence be forwarded to Bro. J. Hodgart, Past Provincial Substitute Grand Master, who was then in Scotland, with a request to wait upon the Grand Master and represent the grievances of the Provincial Grand Lodge. On 29th June 1867, the members were informed that two letters had been received from Edinburgh and that action was being taken. On 29th September 1867, it was resolved that "mofussil Lodges" be communicated with, and requested to appoint a Proxy Master and Proxy Wardens, to represent them in the Provincial Grand Lodge, which noteworthy practice seems to have been lost sight of in these days. On 4th November 1867 was an important date in the history of Scottish Freemasonry in India, because two new Lodges were constituted on that day - Lodge Endeavour No. 474 was constituted at Manora, a part of Karachi in the Province of Sind, and Lodge Barton No. 475 was constituted in the hill station of Lanouli (now called Lonavla), 80 miles south of Bombay. 135 years later, both these Lodges still function today. At a Communication of the Grand Lodge held on 2nd June 1870, Bro. Capt. Henry Morland of the Royal Indian Marines was duly installed as the Provincial Grand Master, his commission being dated 2nd May 1870 for the Western Provinces of British India, including the island of Ceylon, and the territories subordinate thereto, in political or friendly relations with the British Presidency of Bombay. The District was styled as 'The Grand Lodge of the Western Provinces of British India including the Island of Ceylon, and the Territories Subordinate Thereto, in Political or Friendly Relations with the British Presidency of Bombay'. In Calcutta, Scottish Lodges during that period were Chartered directly from Scotland. The foundation stone of Scottish Freemasonry so securely laid by Bro. Dr. James Burnes was successfully strengthened by his successors, and Scottish Freemasonry had spread throughout the length and breadth of India by formation of many Lodges, with the result that the Provincial Grand Lodge of Western India blossomed with fragrance into the Grand Lodge of All Scottish Freemasonry in India in 1875. 31st January 1875 was a red letter day in the annals of Scottish Freemasonry in India, when a large number of Brethren of the Scottish and the English Constitutions, assembled at the Hall at Gowalia Tank Road, to inaugurate "The Grand Lodge of All Scottish Freemasonry in India", and installed Bro. Sir Henry Morland as its Grand Master with 19 Lodges under its Jurisdiction. 'Aden and the Territories Adjacent Thereto' were under its jurisdiction. The territories "adjacent" were at one time extensive - from Burma to Aden, including Ceylon. Bro. Sir Henry Morland was designated as the 'Grand Master Mason'. On 11th November 1875, the laying of the foundation stone of Prince's Dock by H. R. H. the Prince of Wales (afterwards King Edward VII) according to Masonic rites was witnessed. He was the Most Worshipful Grand Master of England, who was on his tour of India. This was the only Masonic Ceremony in which he took part and the proceedings excited great public interest and brought Freemasonry in further light. An address was presented to him, signed by the Grand Master of Scottish Freemasonry in India. His Royal Highness was also presented with the Fundator's or Burnes Medal by Lodge Rising Star of Western India, which has since been exhibited at the Masonic Museum in London. (You can click on the pictures below to see the enlarged view). In 1877 a controversy arose between the Grand Secretary of the Grand Lodge of Scotland and Bro. Sir Henry Morland as he was addressed by the Grand Secretary as the 'Provincial Grand Master' instead of as the 'Grand Master' on the ground that there could not be a Grand Lodge within a Grand Lodge. Bro. Sir Henry Morland protested and resigned, and ultimately the title of Grand Master was restored to his successor, and subsequently to him, when he once again assumed office from 1883 to 1892. On 28th April 1877, it was announced that all the Lodges and Chapters meeting in Bombay under English and Scottish Constitutions, should hold their meetings in one Hall, which was both economical and unifying. By this time, many Indians were given high ranks in the Grand Lodge of All Scottish Freemasonry in India, and in the Craft elsewhere. Bro. K. R. Cama (whose marble plaque is in the Freemasons' Hall at Mumbai as shown alongside) in 1886 was given the rank of Treasurer in the Grand Lodge of England. In 1887 Bro. K. R. Cama was the first Indian to be installed as the Grand Master Depute of Grand Lodge of All Scottish Freemasonry in India. Our Daughter Lodge 'K. R. Cama' No. 1366 founded in 1930 in his memory, still functions today. In 1886 Bro. John Adams designed and supervised the construction of the Throne and Pedestal for the Grand Master, which continues to be in use even today. This Throne and Pedestal were presented to the Grand Lodge by Bro. Hormusjee J. Rustomjee, Past Master of Lodge Hope No. 350, Kurrachee and Lodge Harmony No. 485, Kurrachee, Hon. Substitute Grand Master. From the Reports of the Grand Committee presented on 25th April 1891, it is observed that the Committee recommended to split up the then existing "Scottish Freemasons Benevolent Society" into two funds, one to be styled the "Scottish Masonic Benevolent Association of India" having for its object, the grant of annuities to old and decayed Freemasons and their widows, and the maintenance and education of the children of the deceased or indigent Freemasons. The other Fund was to be styled "The Scottish Masonic Fund of Benevolence" for the purpose of affording temporary relief to indigent Freemasons and their families. The subscribing members at the end of 1891 were 917. The oldest Proceedings of the Grand Lodge Communications available in the Library of the present day District Grand Lodge of India are dated 25th April 1891. This Volume and other Volumes of nineteenth and early twentieth century Proceedings are in a very poor condition. One can only presume that the earlier Proceedings, prior to 1891, did exist when this portion of the History was first prepared in 1978, and were later destroyed some time in the mid 1970s (due to heavy infestation by silverfish and other insects), when the administrative offices of the District Grand Lodge were temporarily relocated in the Excelsior Cinema Building when the Elphinstone Club Building was reconstructed. The oldest existing Proceedings relate to the Quarterly Communication held at Freemasons� Hall, Clare Road, Byculla, Bombay on 25th April 1891, which was presided over by Bro. James W. Smith, Grand Master Depute. In his Address, Bro. James Smith informed the Brethren that in the morning that day, the Most Worshipful Grand Master, Bro. Sir Henry Morland when about to mount his horse, the stirrup leather broke and he fell. The horse reared and came down with one of his hoofs on the chest of the Grand Master and afterwards kicked him on his other breast. The injuries were serious enough to cause the Grand Master�s demise three months later on 28th July 1891. A Funeral Lodge Service was held on 29th August 1891. From 1873 to 1891, Bro. Sir Henry Morland had also held the office of Provincial Grand Z of the Grand Chapter of All Scottish Royal Arch Freemasonry in India. On 28th January 1892, Bro. James W. Smith, J.P. was installed as the Grand Master by Bro. 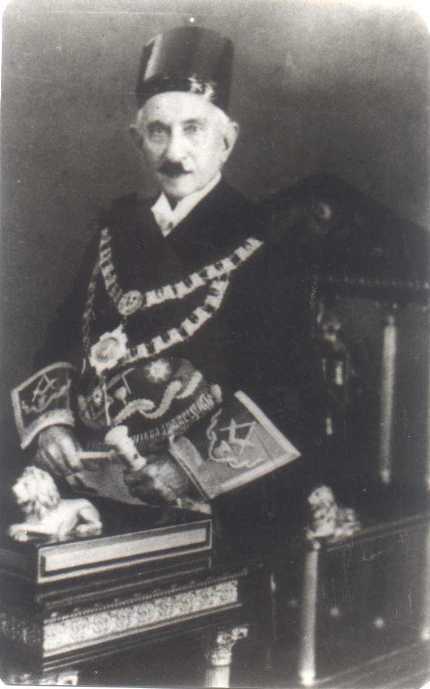 K. R. Cama, Past Grand Master Depute. On the occasion., Bro. Mahomedbhoy Currimbhoy of Lodge Islam No. 587, Bombay presented a Mallet cut in ivory, for use by the Grand Master. This Mallet is still being used today. During Bro. Smith�s term as Grand Master, Lodge Charity No. 783 was consecrated in Bandikui, Rajputana on 27th April 1892 by Bro. Capt. C. D. Wise, Past Senior Grand Warden and Grand Secretary; Bro. John Harkness, Past Master of Lodge St. Paul No. 389, Mhow, was installed as the first Master. On 6th April 1893, Bro. The Rt. Hon. Lord Saltoun, Substitute Grand Master of the Grand Lodge of Scotland attended the Quarterly Communication. This was the first visit by an Officer of the Grand Lodge of Scotland. Bro. Lord Saltoun later became the Grand Master Mason of the Grand Lodge of Scotland in 1896. On 28th October 1893, Lodge Zoroaster No. 800 was constituted under a provisional Warrant issued by the Grand Master, Rt. Wor. Bro. 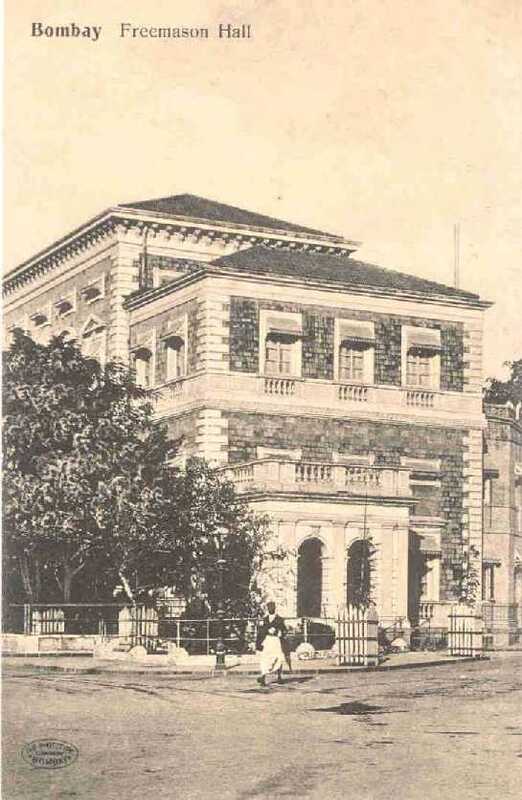 James W. Smith and its first meeting was held at Huntly�s Lodge Bungalow, Clare Road, Byculla, where all Lodges used to meet in those days. At a Special Communication held on 8th January 1897. Bro. The Rt. Hon. William Baron Sandhurst, Governor of Bombay was elected as the next Grand Master. He was the District Grand Master of Bombay under the English Constitution at that time and had to become a Scottish Mason (by joining The Scots Lodge No. 828), before he could be installed as the Grand Master. On 4th June 1897, Bro. H. E. Lord Sandhurst, the then Governor of Bombay, was installed as the Grand Master, at the Novelty Cinema, Esplanade, Fort, Bombay. On 5th June 1897, a Special Communication of the Grand Lodge was held to lay the foundation of the present Freemasons' Hall at Mumbai by Bro. H. E. Lord Sandhurst. 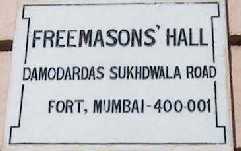 The District Grand Lodge of Bombay (English Constitution) and the Grand Lodge of All Scottish Freemasonry in India were opened successively and temporarily adjourned, and the Officers of the two Grand Lodges formed a procession and then laid the corner stone of the present Freemasons' Hall. A Plaque placed in the porch of Freemasons' Hall to commemorate this event can still be seen. The history of the District Grand Lodge of Bombay (English Constitution) records that this ceremony was held at Novelty Cinema, Esplanade, Fort, Bombay. 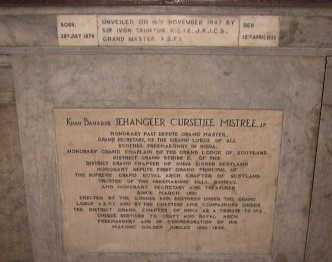 (The corner stone is at the entrance of the Freemasons' hall. You can click on the image alongside to see the enlarged view.) On 28th October 1898 the new Temple was consecrated at Lodge Charity No. 783 in Bandikui, Rajputana by Bro. Capt. C. D. Wise, Hon. Grand Master Depute and Grand Secretary. On the occasion of consecrating the Freemasons� Hall, a Silver Bowl and Cup were presented to Bro. Darasha Ruttonjee Chichgur, Past Grand Master Depute, Honorary Secretary of the Joint Hall Committee, in recognition of the tremendous services rendered by him in ensuring the successful completion of the new Freemasons� Hall. An American Organ was donated to the Hall by the Grand Lodge of All Scottish Freemasonry in India at a cost of Rs. 600. On 13th February 1901, Lodge Cataract No. 900 was consecrated at Gokak Falls, Belgaum District, by Bro. Capt. C. D. Wise, Hon. Grand Master Depute and Grand Secretary. Bro. J. M. Kerr was installed as the first Master. Lodge Endeavour No. 434 which had stopped functioning in 1872 in Karachi, was resuscitated on a Petition filed by twenty Masons in Calcutta, - 13 Brethren of Lodge Albyn No. 813 S.C. in Calcutta, one Brother from Lodge Caledonia No. 813, Bombay, and six English Brethren. The Lodge was reponed on 13th May 1901 by Wor. Bro. Rakhlal Dass Ghosh. A duplicate Charter showing the original date of the constitution and erection of the Lodge in Manora (Karachi) was issued by the Grand Lodge of Scotland in 1903, since the original could not be traced. 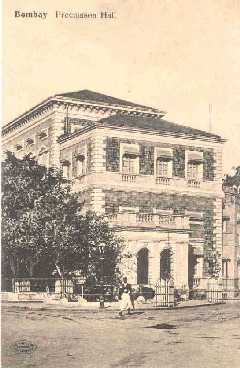 Meetings in Calcutta at that time were held at the old Anglo-Scottish Masonic Hall at 39, Free School Street until 1907. A Funeral Lodge Service was held on 31st August 1901 on the death of Bro. Capt. C. D. Wise, Hon. Grand Master Depute and Grand Secretary, an office he had held since 1889. On 19th December 1900, Bro. H. E. The Rt. Hon. Henry Stafford Northcote, Baron Northcote, Governor of Bombay was installed as the Grand Master of All Scottish Freemasonry in India. On 10th May 1902, Lodge Heather No. 928 was opened in Munnar in the tea estates in High Ranges above Cochin, by Bro. J. D. B. Gribble, Past Junior Grand Warden, under a Provisional Warrant. Bro. Aylmer F. Martin was installed as the first Master. The Lodge was consecrated on 29th June 1902. On 23rd July 1904, Bro. H. E. The Rt. Hon. 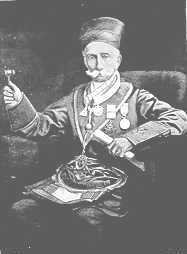 Charles Wallace Alexander Napier Cochrane-Baillie, Lord Lamington, Governor of Bombay was elected as the Grand Master of All Scottish Freemasonry in India and was installed on 1st December 1904 by Bro. R. W. L. Dunlop, Grand Master Depute. After his installation, the Grand Master, Bro. Lord Lamington unveiled the marble bust of Bro. The Hon�ble Khan Bahadur Darasha Ruttonjee Chichgur, Past Grand Master Depute, Honorary Secretary of the Joint Hall Committee, on the first landing main staircase leading to the Sandhurst Temple, as a tribute by the Freemasons of Bombay in recognition of the tremendous services rendered by him in ensuring the successful completion of the new Freemasons� Hall and his valuable services to the Craft for a quarter of a century. On 25th September 1906, the Foundation Stone of the Surgeon General Sir William Moore Operation Theatre was laid at the Sir Jamsetji Jeejeebhoy (JJ) Hospital in Masonic Form by the Grand Master, Bro. H. E. Lord Lamington, Governor of Bombay. On 27th March 1908, Col. Robert Hall Forman was installed as Grand Master of All Scottish Freemasonry in India. On 21st September 1908, Lodge Hope & Sincerity No. 634 was shifted from Jalpaiguri in Bengal to Ahmedabad, where it still works today. Bro. K. R. Cama, Past Grand Master Depute died on 20th August 1909 and a marble Mural Tablet in his memory was unveiled in Freemasons� Hall on 4th March 1911. The following Lodges were constituted during the regime of Bro. 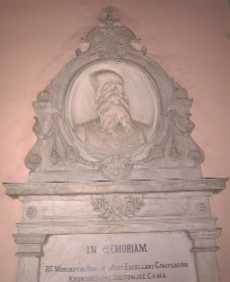 Col. Forman as the Grand Master : Lodges Elysium at Simla, Pavaghad at Godra, Imperial Brotherhood at Bombay, Hanthawaddy at Inseen in Burma, Sir Charles Napier at Hyderabad, Nicopolis at Vizianagram, Forman at Bombay, St Andrews at Lahore, Beaman at Bombay and Vindya at Dholpur. Lodge Hope & Sincerity at Ahmedabad was resuscitated. When he was made Grand Master, there were 39 Lodges and at the end of his regime there were 50. During his regime, he visited all Lodges except only two -- one of these was Lodge Heather No. 928 at Munnar, as access to Munnar was extremely inconvenient and time consuming in those days. On 2nd March 1912, Bro. The Hon�ble Mr. Justice Frank C. O. Beaman was installed as the Grand Master of All Scottish Freemasonry in India by Bro. Dr. Sir Temulji Nariman, Grand Master Depute. Bro. The Hon�ble Khan Bahadur Darasha Ruttonjee Chichgur, Past Grand Master Depute, Honorary Secretary of the Joint Hall Committee on 13th March 1912 and Funeral Lodge Service was held on 19th April 1912. On 24th March 1913, the Masonic Temple of Lodge Royal Jubilee No. 742 Sholapur was consecrated by Bro. Lt. Col. W. E. Jennings, Past Grand Master Depute. With His Blessings, the Craft progressed and at the end of 1924, the Grand Lodge of All Scottish Freemasonry in India had under his control 74 Lodges scattered all over India and Iraq. The advantage of complete control by one Grand Lodge became apparent, and the Grand Lodge of All Scottish Freemasonry in India will ever remember its deep debt of gratitude to Bro. Sir Henry Morland, to whose remarkable administrative ability and far seeing policy, the conversion of Provincial Grand Lodge of Western India into Grand Lodge of All Scottish Freemasonry in India was entirely due. In Calcutta, Lodge Endeavour No. 474 moved its meetings to 19, Park Street until 30th December 1912, when it became necessary for all Scottish Lodges in Calcutta to establish a Masonic Hall exclusively for their use. Meetings were first held at 1, Wellington Square, then at 144, Dhurrumtolla, and still later at Bosewell Hall, 165 Lower Circular Road. From April 1914 onwards, meetings were held at the Scottish Masonic Hall at 16 Sudder Street. As years passed, it however became increasingly evident that the building was unsuitable for use as a Masonic Hall, surrounded as it was on all sides by dwelling houses and situated on the junction of two narrow thoroughfares. Protracted negotiations by the Scottish Masonic Committee for Bengal eventually resulted in the District Grand Lodge of Bengal of the English Constitution inviting Scottish Lodges in 1927 to return to their Freemasons� Hall at 19 Park Street. In 1932 Bro. Dr. Sir Temulji Nariman, (whose picture is shown alongside; you can click on the image to get a larger view) was installed as the Grand Master. He was the first Indian to be the Grand Master, and that too at the age of 85 years. In spite of his age, he not only completed more than his term, he continued in full vigour until 1938, when he was called to the Grand Lodge Above. He said that Freemasonry was very much like the oath which Hippocrates, the Father of Medicine required from the initiates of the Medical profession. Our Daughter Lodge 'Sir Temulji Nariman' No. 1516 founded in his memory in 1958, is the last Lodge consecrated in our District. In 1934 the Grand Lodge of Scotland sought our views for the splitting up of the Grand Lodge into two zones, Western and Eastern, and on proper and convincing representations, dropped the idea. It is relevant to note that 58 years later, similar reasoning prevailed and the Grand Lodge of Scotland decided to have one unified District for India. In 1936, the five Lodges in Burma were formed into a separate District under Scotland. At that time there were three Lodges in Iran falling within the "adjacent" areas. In 1947 the Portrait of Bro. Jehangir C. Mistree, who was our popular Grand Secretary for three decades was unveiled in the Library of Freemasons Hall at Edinburgh by the then Most Worshipful Grand Master Mason, Bro. The Earl of Galloway. This was indeed a unique honour, as he is the first and only Indian whose portrait has been unveiled at Edinburgh. This was also a well deserving honour for one, who has been rightly called "The Grand Old Man of Indian Freemasonry". As a tribute to his memory, a life size statue of Bro. Mistree stands at the entrance of Freemasons' Hall in Mumbai. (You can click on the image to see the enlarged view). The history of Scottish Freemasonry in India in the post independance era (post 1947) is continued here.